Marc Ricou, CFA, joined QuadReal as Senior Vice President, Development Acquisitions in February 2017. He focuses on management of large mixed-use development projects, including the Post Office redevelopment in Vancouver, as well as acquisitions supporting QuadReal’s future development pipeline. He was formerly Senior Vice President, Investment Management with Bentall Kennedy, where, starting in 2001, he held various roles focused on commercial real estate development, asset management, portfolio management and acquisitions. During his time at Bentall Kennedy, Marc was directly involved in the development and acquisition of real estate assets exceeding $2.5 billion in value. 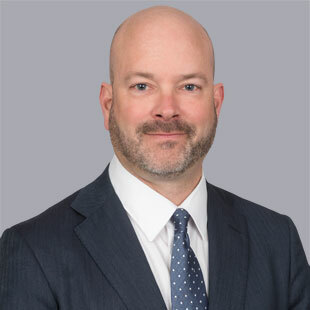 Marc also previously held a senior position with the BC Buildings Corporation undertaking real estate acquisitions, dispositions and redevelopment of large institutional land holdings. Marc holds a Bachelor of Commerce from the University of British Columbia in Urban Land Economics, and is a CFA charterholder. The opportunity to be part of a team tasked with acquiring a diverse range of industry-leading developments around the world is what excites Marc most about joining QuadReal.